Kay Rich, The Lyricist: My Response to the many claims of certain white pple who say black pple look for racism...uuugghhhh SERIOUSLY??? My Response to the many claims of certain white pple who say black pple look for racism...uuugghhhh SERIOUSLY??? As I was reading through comments on news articles and blogs about “The Princess and the Frog” lacking a black/Afro-American prince, I saw many written by white people basically claiming that black people need to stop looking for “disparate moments,” or things to be racist against us and to quit “playing the victim” because if we quit looking for something to be wrong then everything will be all right. (Excuse my french.) NOW HOW IN THE HELL DOES THAT MAKE ANY SENSE??? If I am blinded in one eye, but I decide not to point out my disadvantage to everyone does not make me any less blind in that one eye. Saying that black people have to LOOK for “disparate and racist moments” is preposterous. First of all the previous claim is a generalization because people keep saying “black people.” GEEZ! THEY COULD AT LEAST PUT IN THE WORD “SOME.” Second of all, just because some people—namely SOME members of the majority—have to look for racist situations and moments of intolerance does not mean that the members of the minority have to do so. Furthermore—even if people do have to look for something does not mean it is not there in the first place. In fact, according to Christia Spears Brown and Rebecca S. Bigler (2002) one of the psychological effects of being an adolescent of color in an American classroom is earlier development of group awareness and identification. In other words, minorities notice they are minorities because they are minorities. Therefore, most black kids in America notice they are black, and everything that comes along with that, before most white kids notice they are white with privilege. 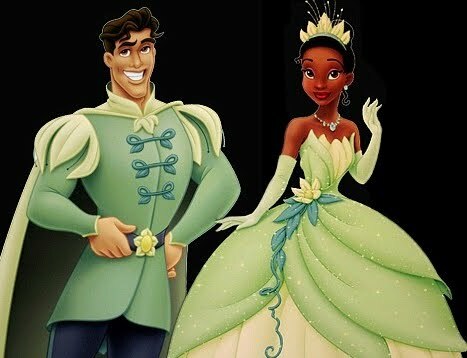 So, if a black boy already notices he is black and “different” at an earlier age, do you think he will not notice the prince in “The Princess and the Frog” is NOT black? Besides, no one is saying the Disney movie is racist; however, everyone is making hoopla about the first black PRINCESS—which they rightfully should given this nation’s history—but I feel like black boys are always hung out to dry. And what is the latest image of the black male in the media? TIGER WOODS. Which was the last one? CHRIS BROWN. What do they keep saying about Mr. President—as of lately? OBAMA’S POPULARITY RATINGS AT ALL TIME LOW. So outside of the run-of-the-mill football, basketball, and baseball stars—WHERE ARE THE POSITIVE BLACK MALE IMAGES IN THE MEDIA? I know they are out there, but the media chooses what they want to highlight and cover. And I’m sorry but somebody has to say this: the only reason Elin (Nordegren) Woods has not been put to the fire is because she is a white woman. The media keep saying “she had a mental meltdown” and is thus excused with beating Tiger with a club and causing him to crash his car twice in a row. Had that been a black woman—they would have paraded her as “a mad black woman,” brought the Chris Brown/Rihanna case back up, and blown up domestic violence in the black community AGAIN. SN: I realize domestic violence is a prominent issue in the black community—however there is a difference between raising awareness both within and for the better of the community as opposed to “outsiders looking in” and displaying it as “look-at-those-dysfunctional-black-people.” Plus, young black males run the highest risk of being shot and killed (look at the situation in Chicago, namely). My point is, black men never get any love in this country. I think it's funny how you literally have to dig through the history books or even modern media outlets for that matter to find positive male role models or images. And don't even get me started on Disney. You think this is the first time something has went down like this? Look back at some of their 90's sitcoms. Boy Meets World for example. Beautiful black intelligent college girls ignores ALL the black students at the college and starts dating the "bad" whiteboy. And other than the two or three "urban" themed shows they had. Smart Guy, Famous Jett Jackson, some random Disney movies? Robert Twonsend was in one. Sister Sister? Mmmhm. See the pattern? Darker skinned people were rare. Because Tahj and his Dad were definitely perpetuating the light skin issue in the black community. You ever notice that TJ was a genius but his dark skin brother was portrayed as the "stupid" one? Chasing girls, focusing on sports and parties etc. Now I know you had Morris Tibbs, Omar Gooding, who was light skinned as well but honestly it's there. I can't expect a person of another race to ever understand the way I see things. No matter what, even if you grew up a poor white person or otherwise, you are genetically predisposed to being treated better in pretty much ALL modern societies. How many more studies and research articles do they have to print before people get this stuff through their head? OR maybe it's harder to face the truth. No one want's to face whats really happening. Racism will never dissapear, it will only evolve.